How “impossible” gifts such as mind control and speaking unknown languages could be occurring in some people with autism. How parents can distinguish their child’s spiritual interactions from behavior that might be mislabeled as hallucinatory—and unduly medicated. 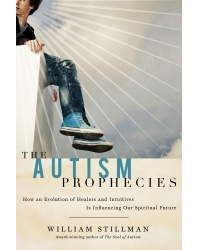 William Stillman is an autism spectrum self-advocate, consultant, speaker, and author of the groundbreaking books The Soul of Autism and Autism and the God Connection, the latter being the first study of the profound spiritual, mystical, and metaphysical gifts of some people with autism. His other books include The Autism Answer Book, Empowered Autism Parenting, and Demystifying the Autistic Experience. Stillman also writes columns for The Autism Perspective and Children of the New Earth magazines. He lives in Pennsylvania. For further information visit www.williamstillman.com.